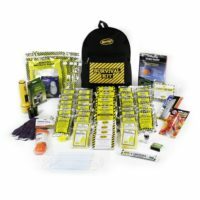 Great Emergency Preparedness Go-Bag for Earthquake or any Disaster, includes a great assortment of Survival and Safety Supplies! 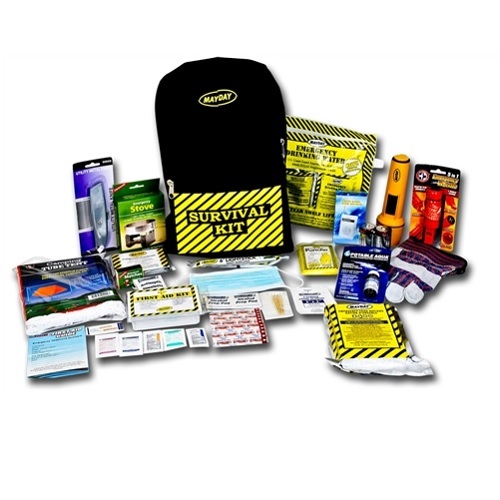 Our most popular emergency kit is fully assembled right here in the USA! This complete emergency survival kit is packed in a durable, weather-resistant backpack with padded shoulder straps, convenient hanging loop, large backpack center compartment with lockable zippers (lock not included). Everyone should have disaster preparedness supplies on hand, in your home and in your car, BEFORE you need them. In a crisis, it may take a while for help to arrive and you may need to shelter-in-place in the meantime with emergency food and water, first aid supplies, and household essentials you have on hand. 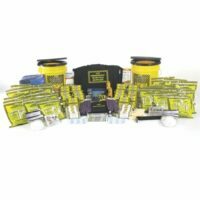 Sunset Survival’s Deluxe Emergency Backpack Kit is an easy, convenient way to make sure you are safe and prepared without making numerous shopping trips to gather disaster supplies – your ready-made go-kit is assembled right here in the USA and is ready-to-use when you receive it! 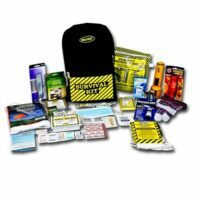 Deluxe survival kits are a terrific Bugout Bag for preppers, survivalists, anyone who wants the peace of mind of knowing your safety essentials are all in one place and ready when you need them. Make an emergency plan. Be sure every member of your household and workplace knows where survival supplies are kept, and what to do in case of emergency. 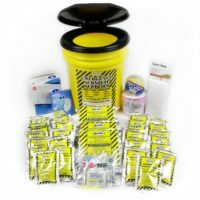 Our popular emergency kit makes a great and thoughtful gift! Sunset Survival deluxe backpack kits are also available in 2, 3 and 4 person sizes for emergency preparedness, disaster survival, and commuter safety.